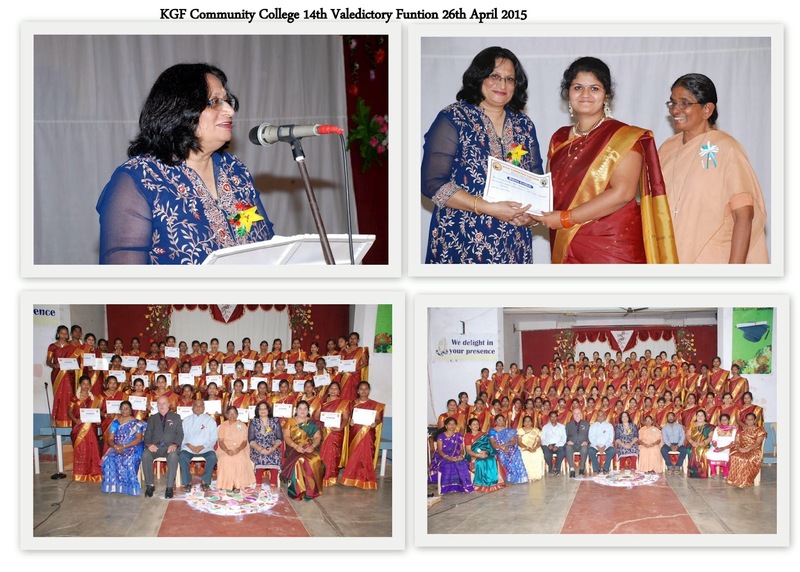 The KGF Community College was started in August 2001 by the Sisters of St. Joseph of Tarbes, in the St Sebastian’s Church and School premises, after the closure of mines, mainly for the children of Ex-BGML workers. 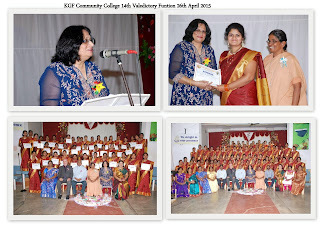 The Community College celebrated its 14th Valedictory Function on the 26th April 2014. I was invited by Rev Sister Alexina as the Chief Guest at their 14th Valedictory Function Indeed it gave me great pleasure to accept the invitation and be present there for this occasion in my home town Kolar Gold Fields. Mr Phillip Dingle and Dr. Rev. Fr. 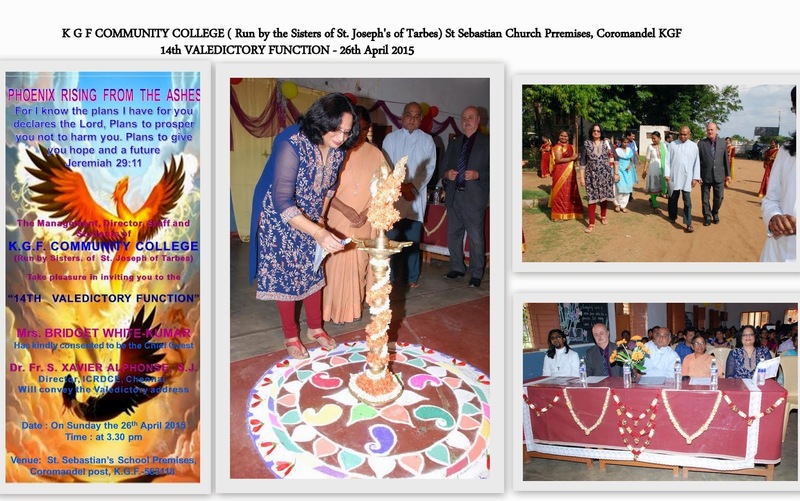 Xavier Alphonse S.J were also honoured guests at the function. 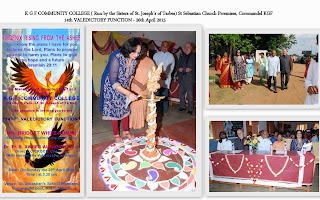 The Community College Movement in India was founded by Dr. Rev. Fr. Xavier Alphonse S.J. Director, ICRDCE, Chennai. The Community College System was started mainly for School dropouts and financially backward children and persons of lower socio – economic groups. The aim is to provide them with job oriented training, thereby providing them with the required life skills and training so that they could earn an honest living and come up in life besides bringing in much needed financial assistance to their families. I was told by Rev Sr Alexina that in the past 14 years, more than 1000 students from different religions, have completed the courses conducted at the Community College in KGF, such as Diploma in Office Management, Diploma in Pre-School Teachers’ Training and Diploma in Nursing Assistant and are all gainfully employed. They are the bread winners of their families and have brought their families economically to the main stream of the society in the aftermath of the closure of the mines. Some of these girls are widows or come from broken families but they have the initiative and drive to study and complete the Courses offered by this Community College inspite of their family constraints and drawbacks. They know that it is only when Girls are empowered by providing them with education and life skills can Society itself improve. Here are some photographs of the Function.